In this page you can search for information in the site. You may also see the site structure in the Site Map option. If you have any doubts, you may contact us through e-mail to www@presidenciarepublica.pt explaining carefully your questions. We'll send you an answer as soon as we can. 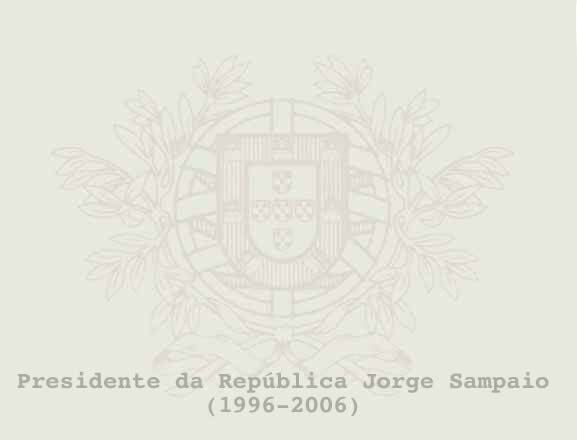 The Presidency of the Portuguese Republic Site is the result of a team effort. These group of persons and entities have contributed through their work since 1998 to produce and maintain this site.